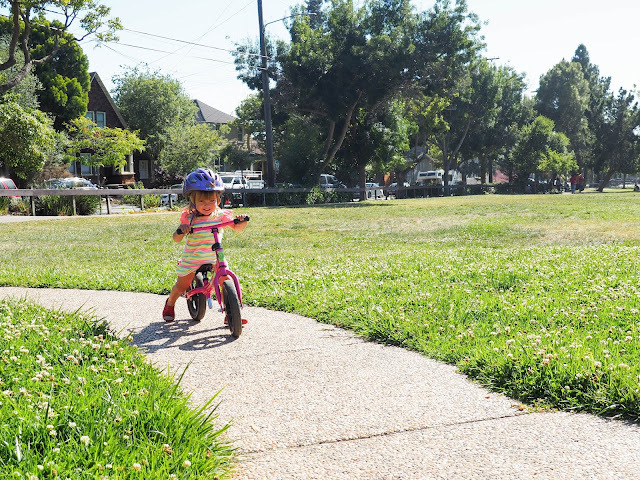 Summer vacation may mean a break from school for my big girls, but it doesn't mean a break from their regular activities which, for the most part, are running right through the Summer just as they do through the school year. This means that not only are we out and about a lot doing fun Summer Vacation type stuff, but we're also out a lot at Ava and Lola's (twice weekly) karate and swimming classes. While Ava and Lola practice their swim strokes or their sparring techniques, Mathilde and I get a little one on one time - much of which is spent eating! When you spend a lot of time out and about with a toddler there a lot of things that you really need to have on hand with you. A change of clothes, spare underpants or diapers, baby wipes, small toys or activities to keep them occupied... 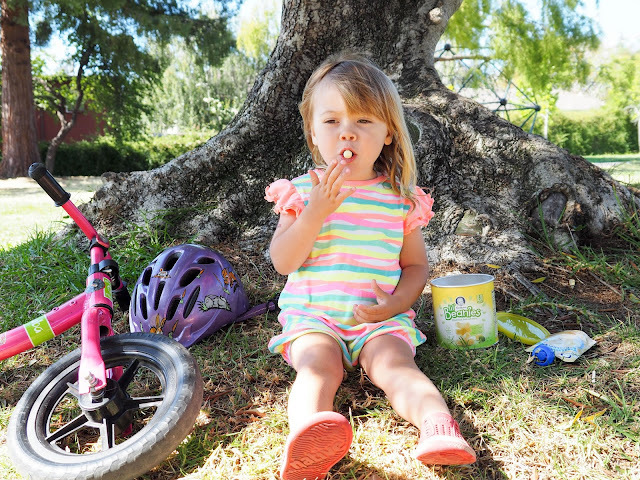 But as any parent knows, the most important thing to have on hand when out and about with toddlers is snacks! 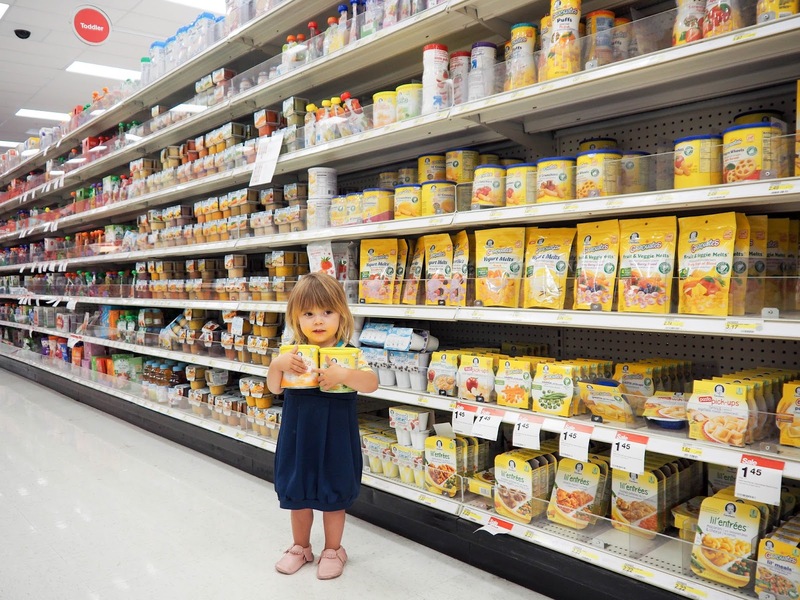 A hungry toddler is not a happy toddler, and we all want happy toddlers, right? There's a reason I always carry such a large handbag when I'm out with the kids - it's always full of food! I try to make sure that most of the snacks in my bag are suitable for all three of my kids. Berries, granola bars, crackers, popcorn, apple sauce pouches, and seaweed are pretty popular choices for my kids. I always like to have something on hand that's just for Mathilde though. Something she can snack on by herself while she watches her big sisters at their activities. 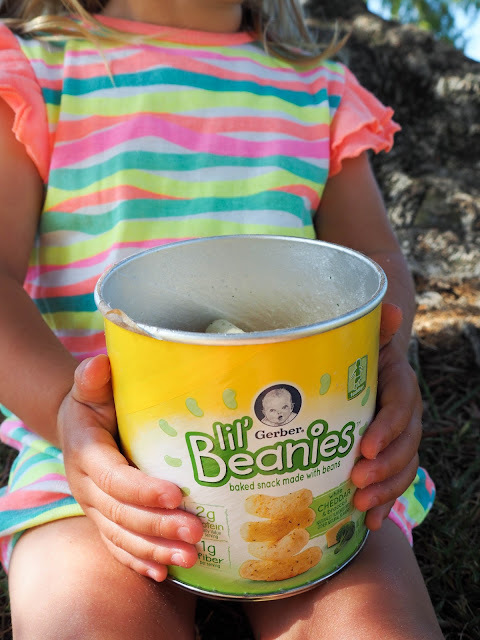 Mathilde's favorite "just for me" snack at the moment is Lil' Beanies from Gerber. 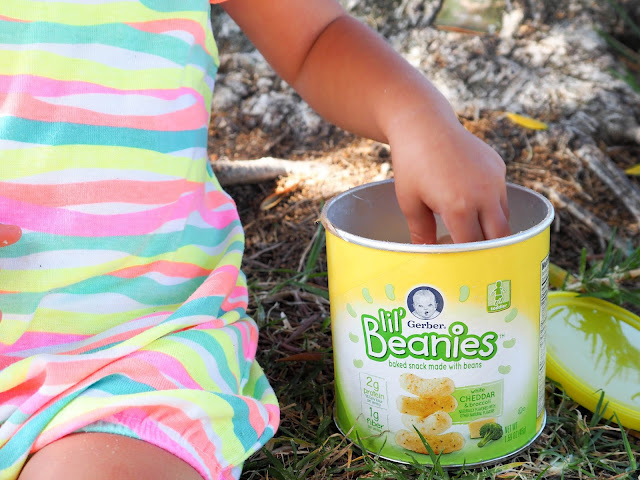 Lil' Beanies are a super tasty baked snack made from the goodness of navy beans. We tried these out while watching the big kids practice karate earlier this week and they were a huge hit. Mathilde loves the taste of the White Cheddar and Broccoli flavor. I love that Lil' Beanies are naturally flavored and not made with GM ingredients. 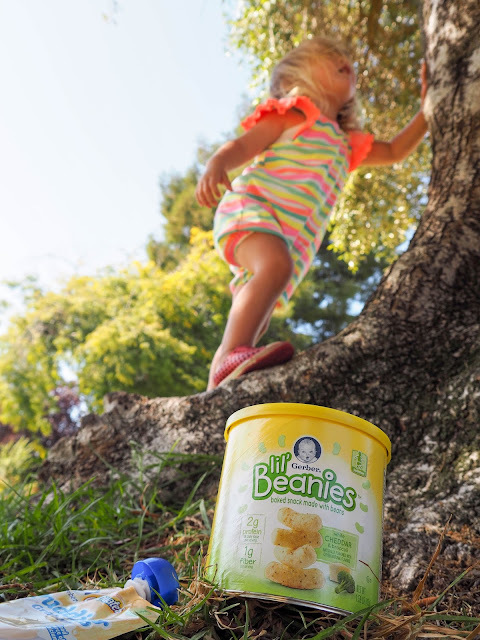 Each serving of Lil' Beanies gives Mathilde 2 grams of protein (9% Daily Value), 1 gram of fiber and 10% Daily Value of Vitamin E. She's such an active toddler so it makes me happy to know that her favorite snack helps to keep her little body healthy and gives her the energy she needs to play. 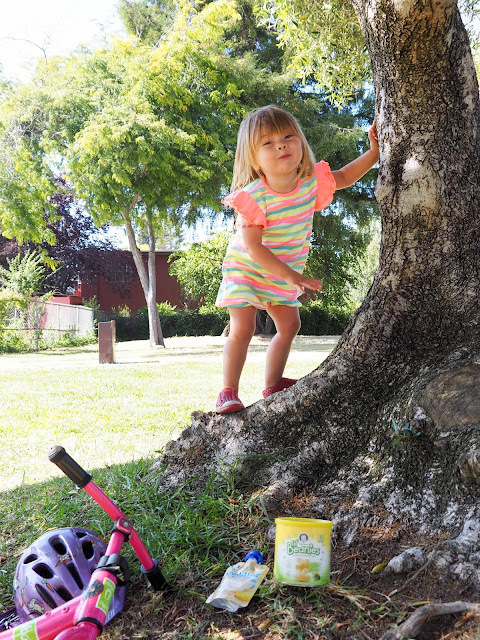 Whether she's zooming around the park on her balance bike, climbing on the climbing structure, kicking a ball, or even just watching squirrels up a tree, my little one sure is active while her big sisters practice their karate. 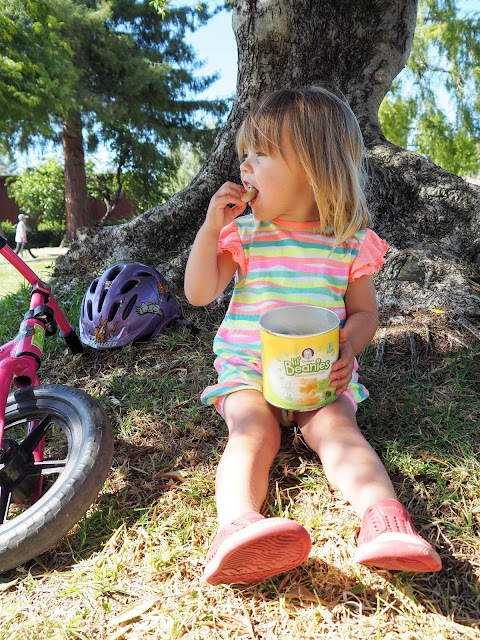 It's good to know that when she does stop for a snack break she has a healthy and tasty snack ready just for her. I love it when we find a new snack that is both healthy and tasty. Lil' Beanies get a big thumbs up from both Mathilde and I. Yep, I've tried them too and I can assure you they're pretty tasty. 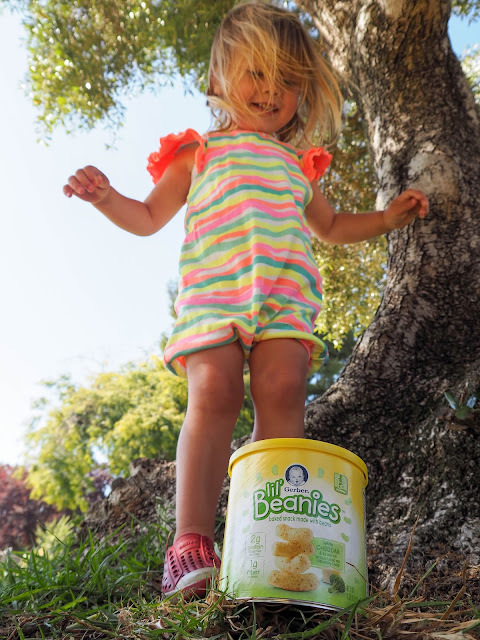 Looking for a new snack for your toddler? 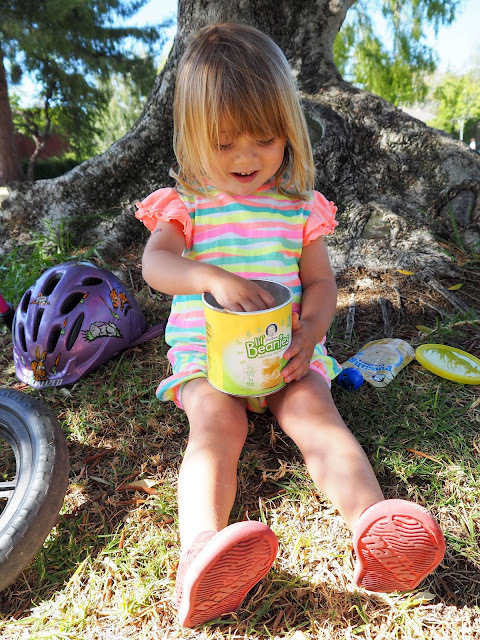 Make sure to give Lil' Beanies from Gerber a try. You can find them in the baby food aisle in your local Target store just like we did.